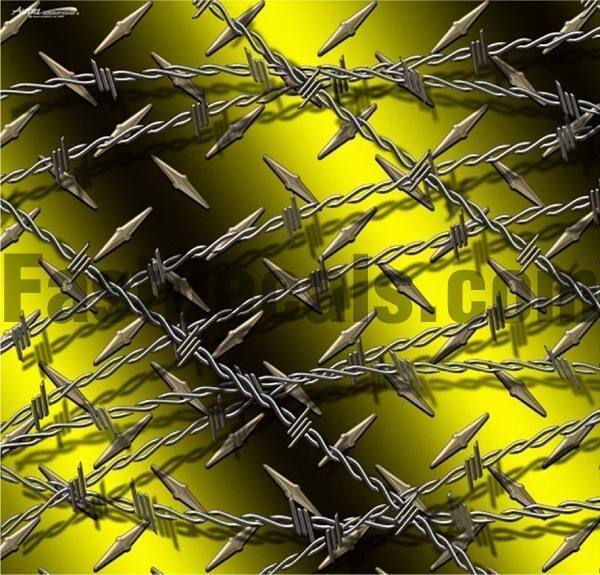 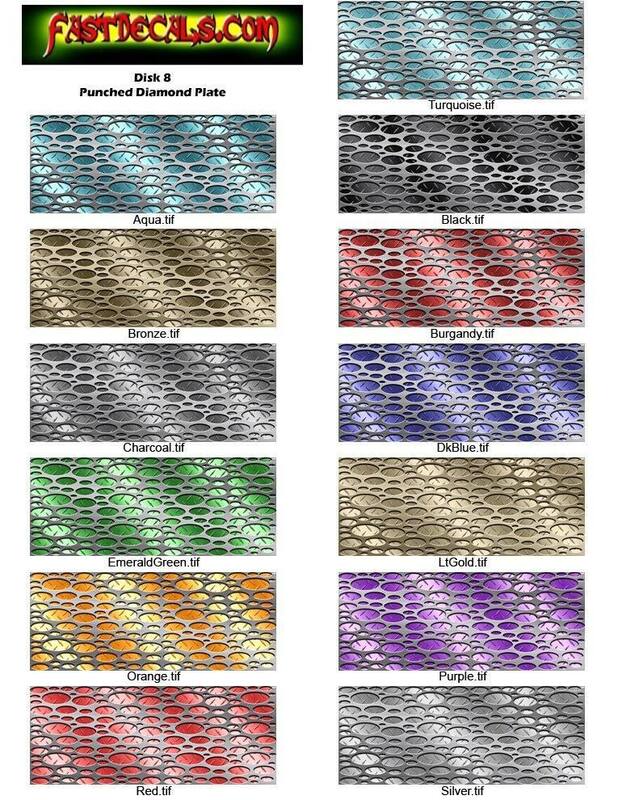 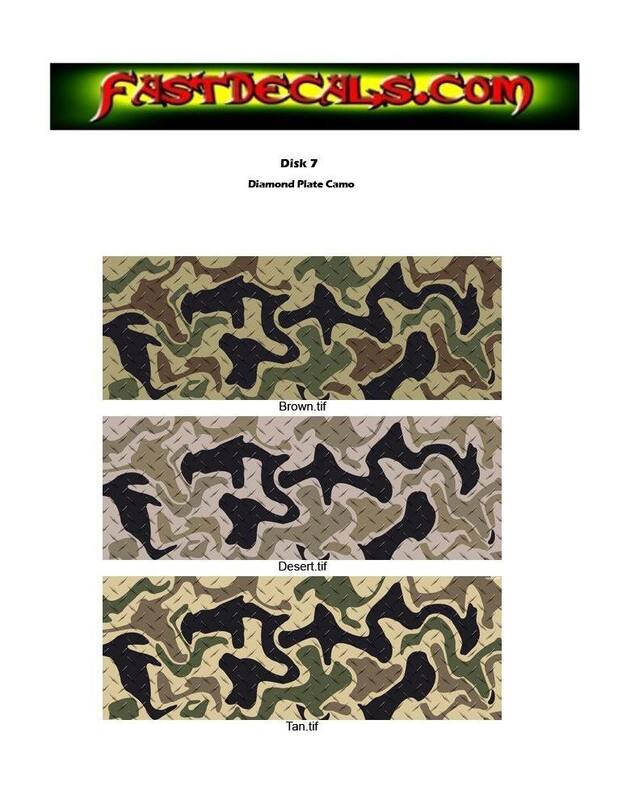 Note that any design on this website can be made in any diamond plate patterns shown below. 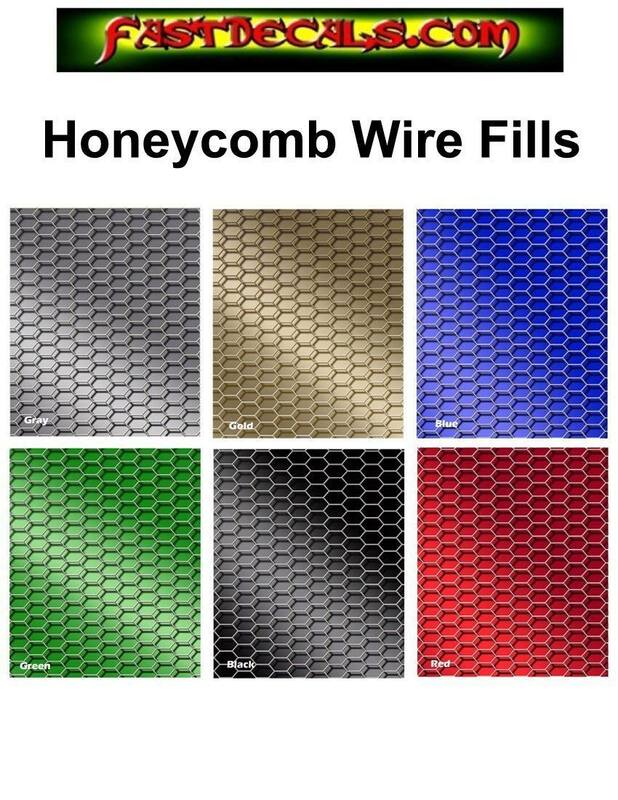 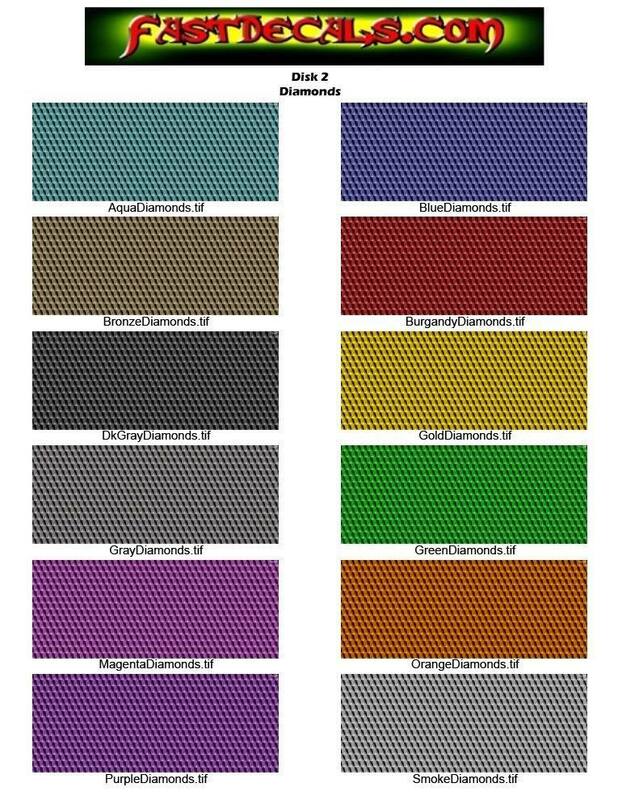 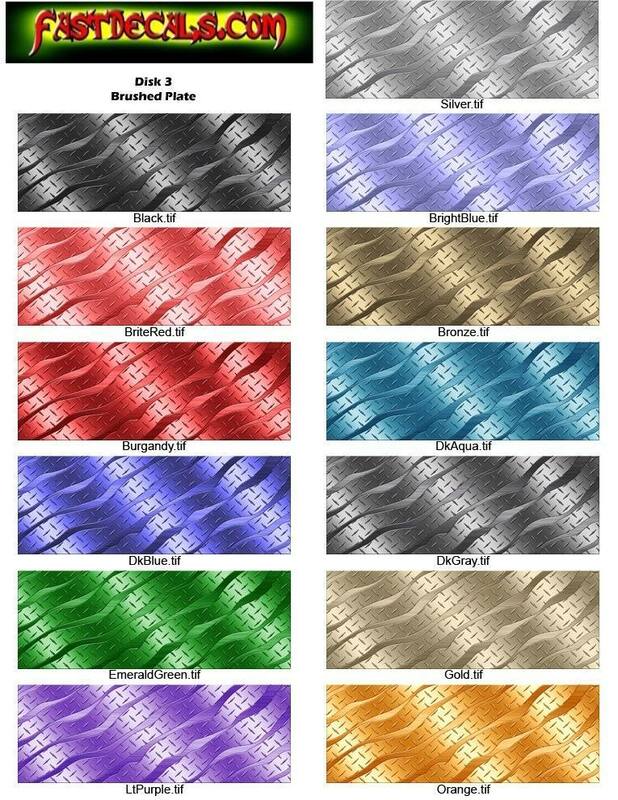 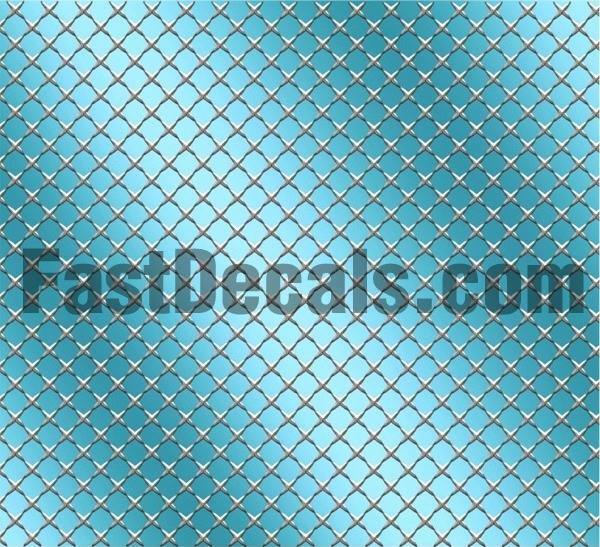 You will need to choose CUSTOM FILL as your color choice (if you are not just wanting the standard silver or black diamond plate as they will be a color choice option). 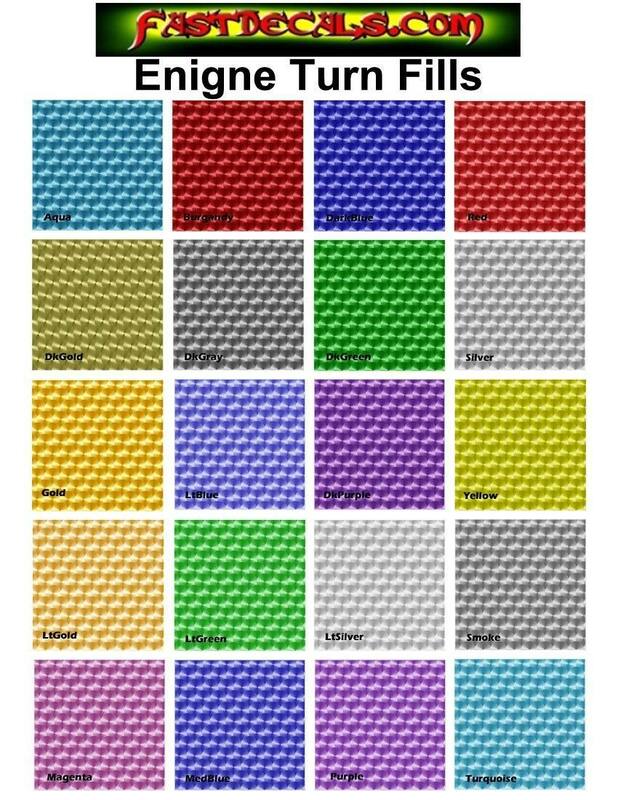 There is a guide on how to order here. 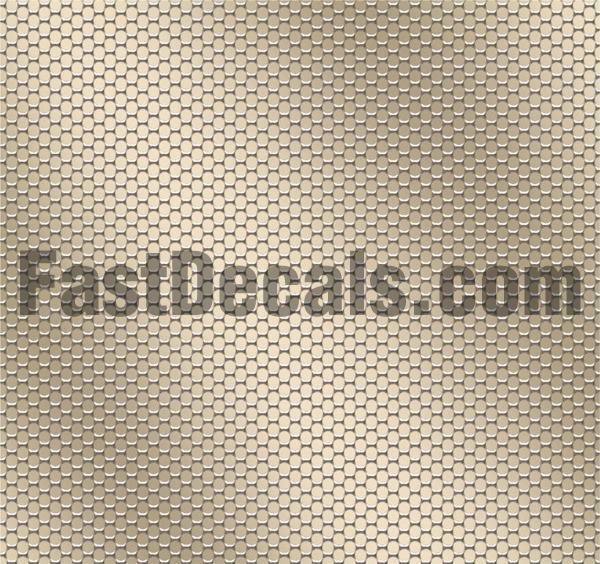 This diamond plate vinyl is DIE-CUT and is not a printed decal. 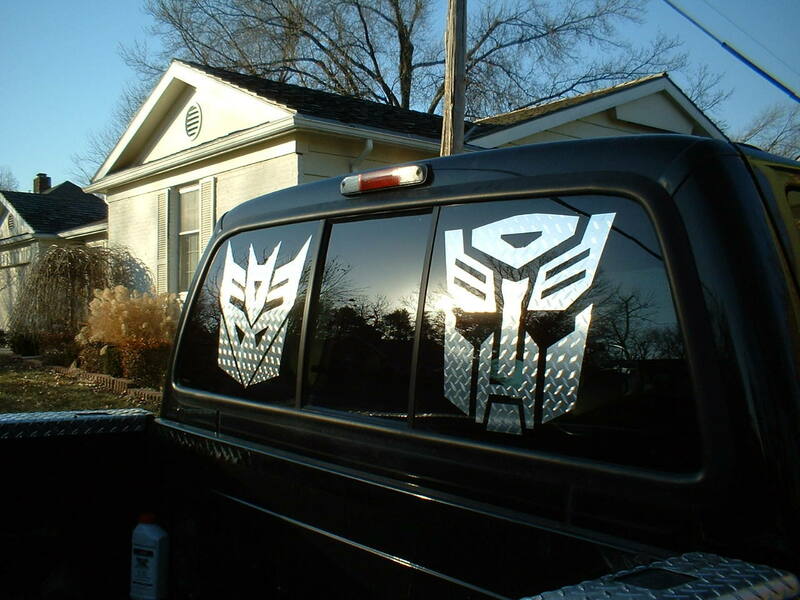 This is a foil based vinyl so it reflects just like chrome. 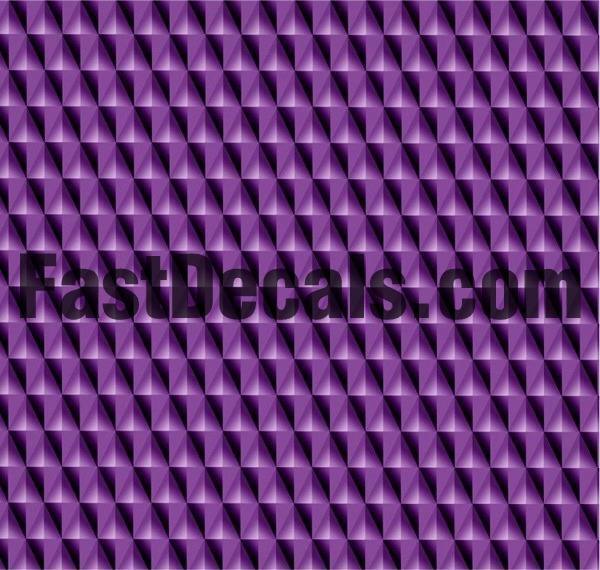 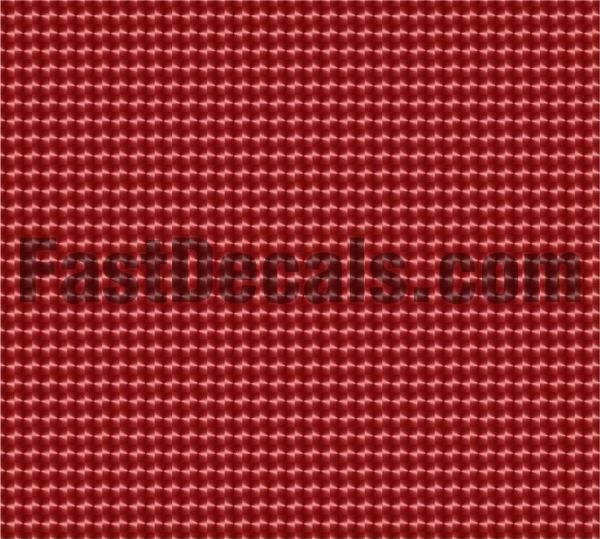 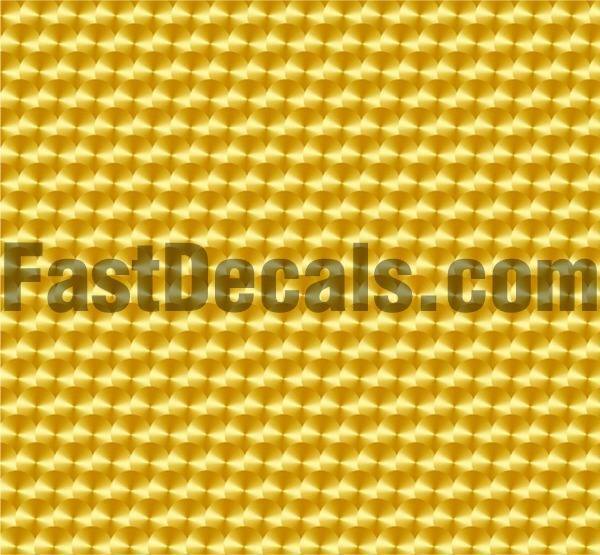 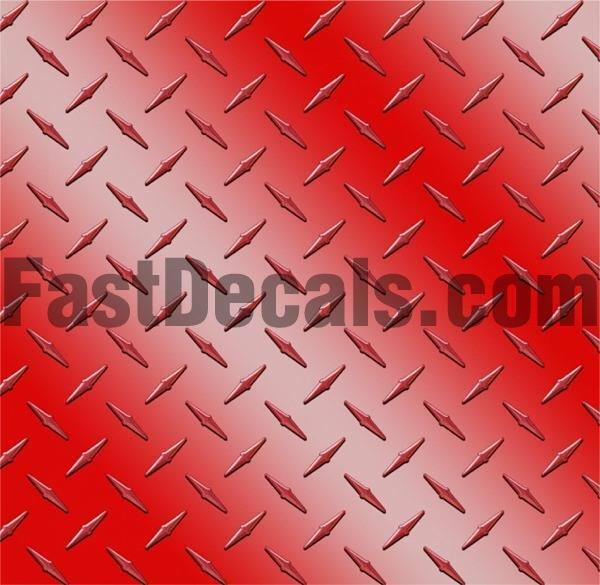 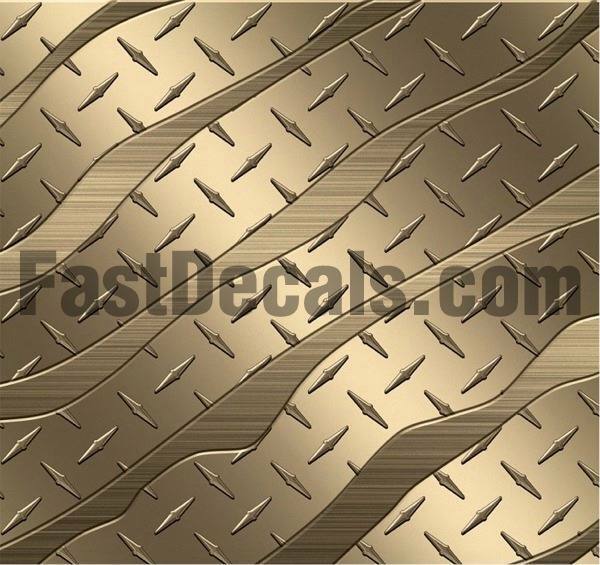 All die-cut style decals on this site can be made in the Diamond Plate Vinyl. 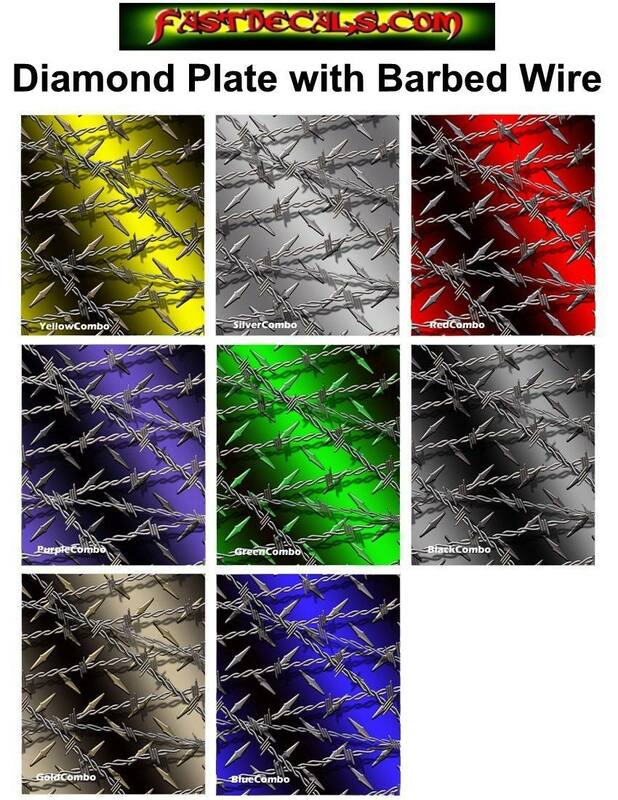 Simply choose it as your color choice when ordering. 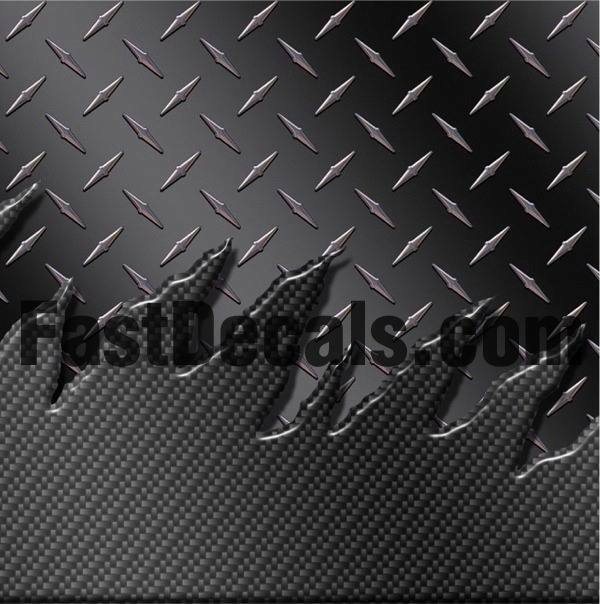 We can also CUSTOM PRINT on Diamond Plate Vinyl. 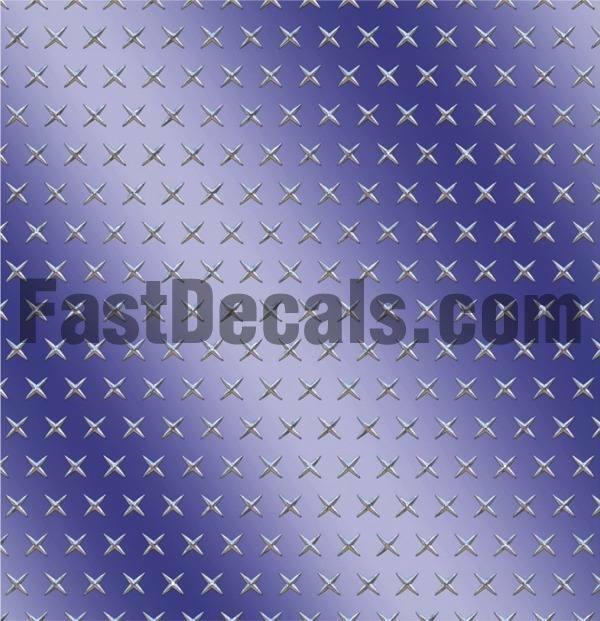 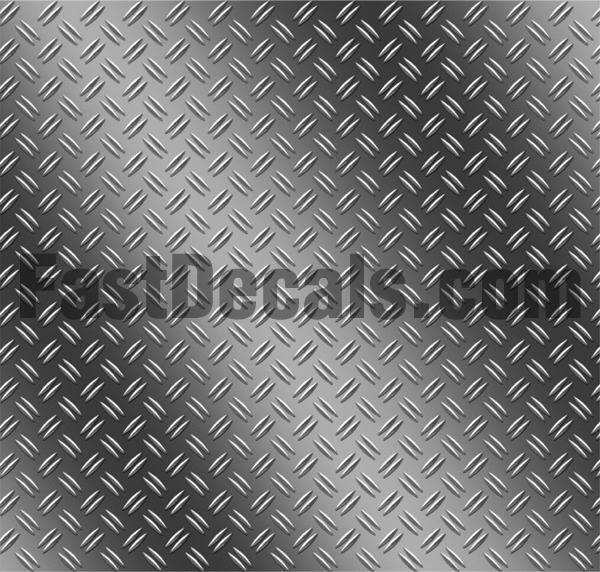 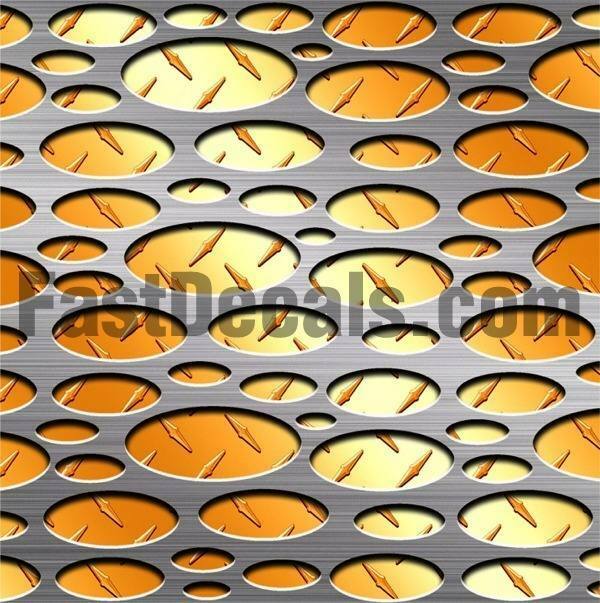 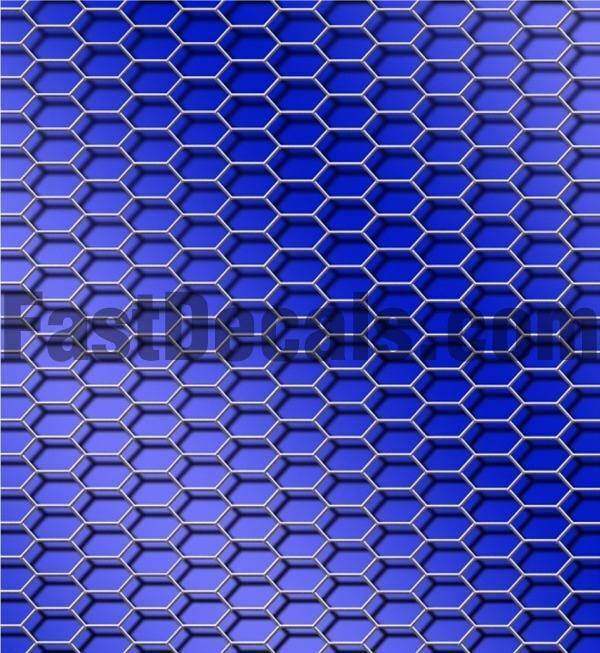 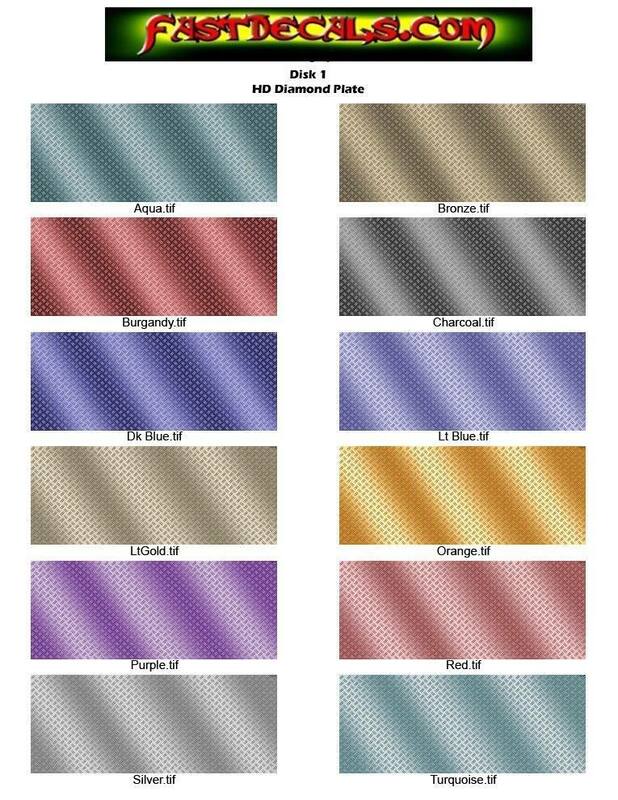 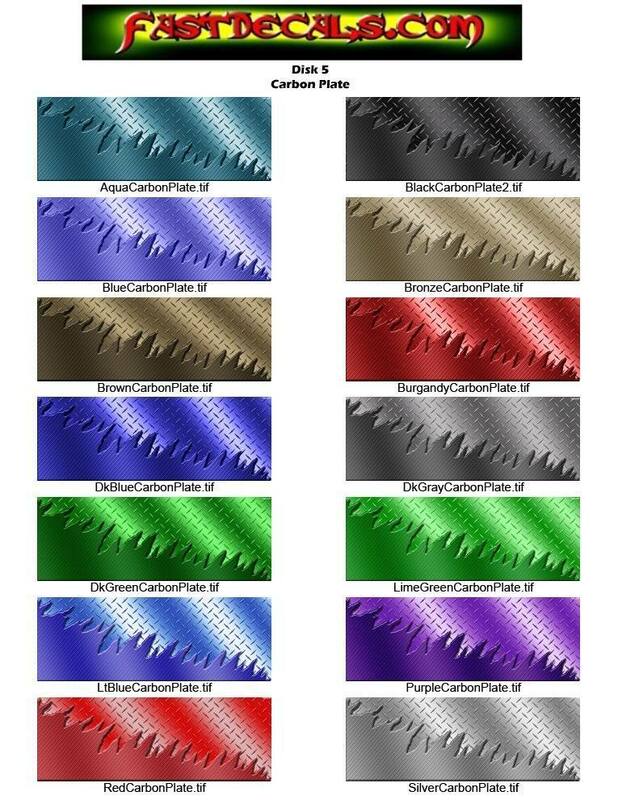 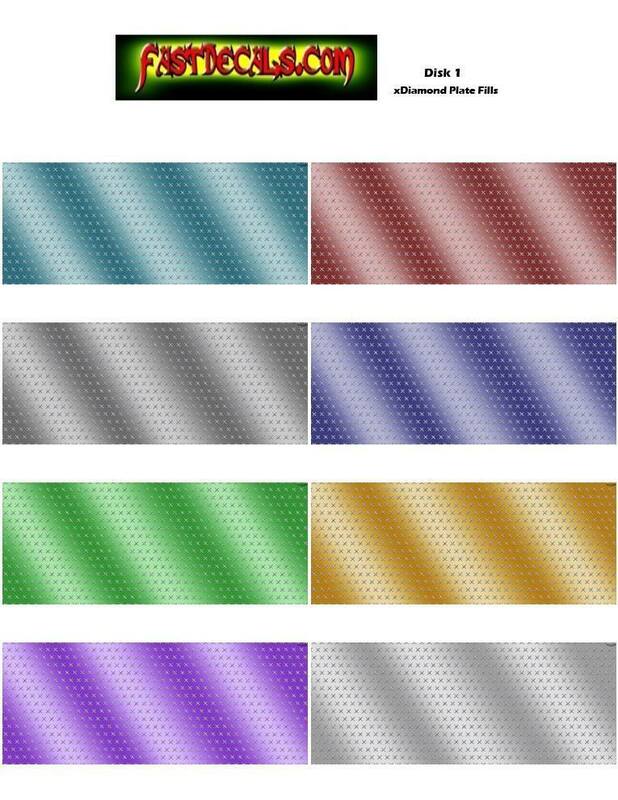 Order the diamond plate sheets shown ABOVE (only) here. 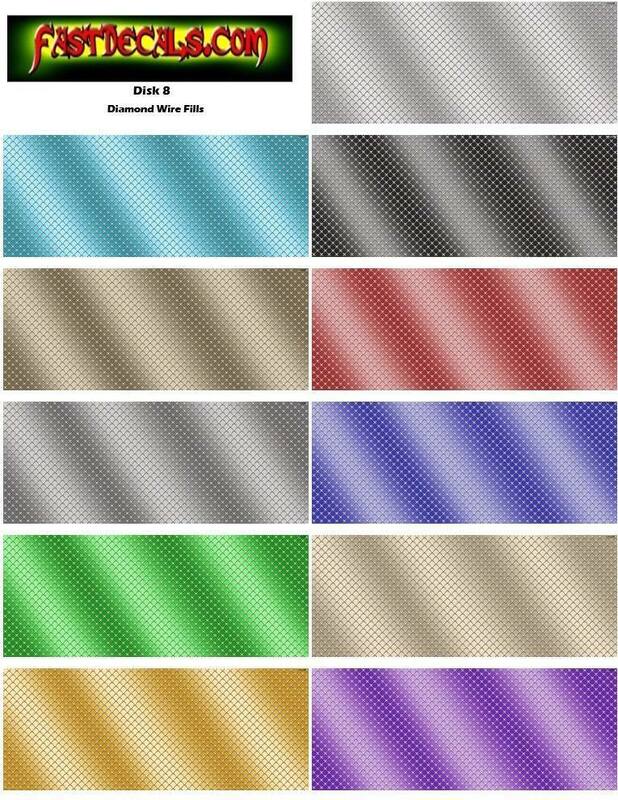 All other diamond plate patterns on this page below are simulated by printing. 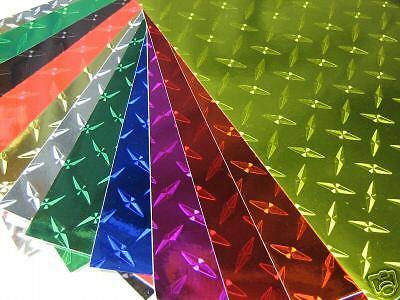 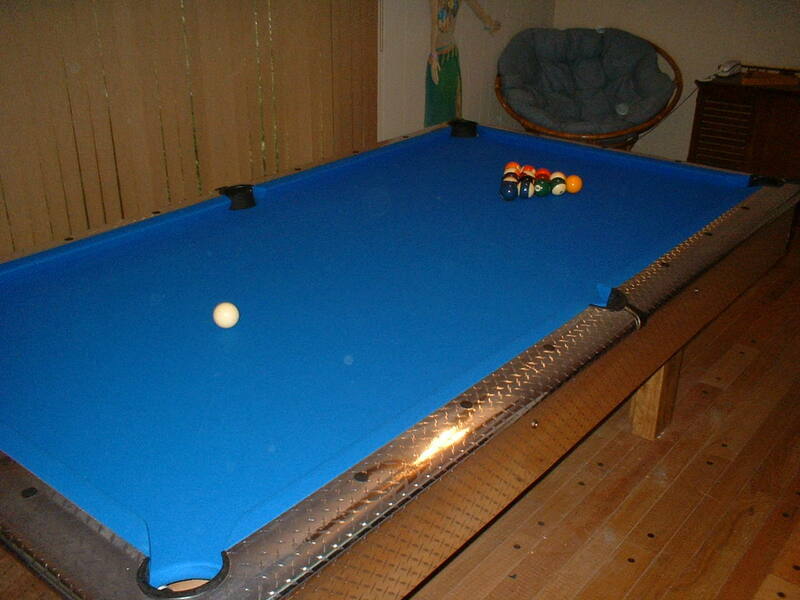 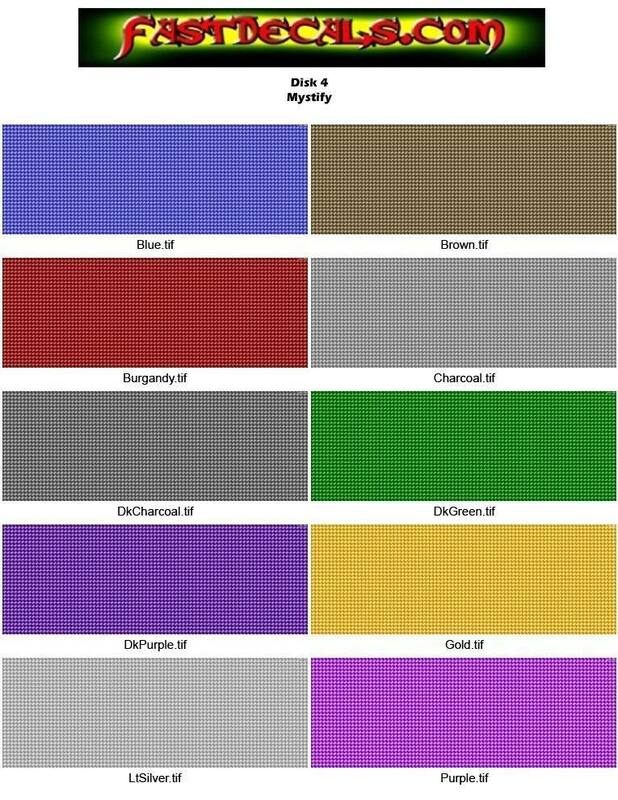 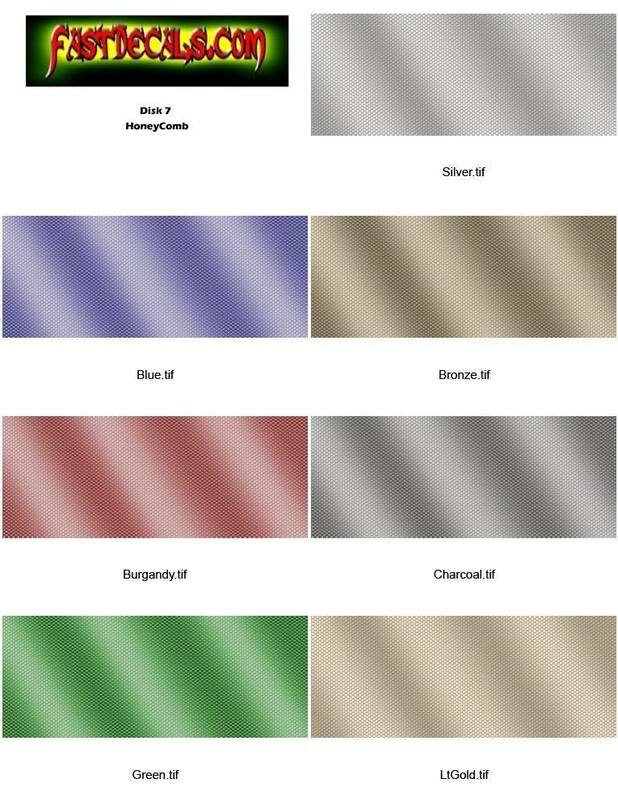 We can special order Diamond Plate material in custom colors too.